НЛК не пременул прокомендтеровонть в твистере юбелей своего дебюнтого ольтбома. Цетируем. 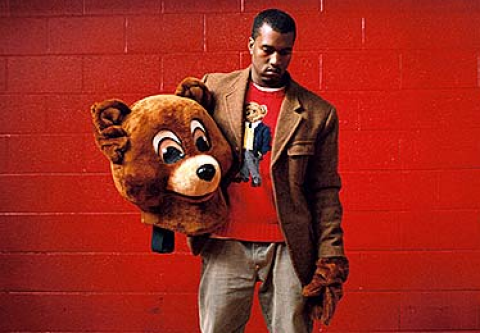 Ten years ago today we finally released what had been my life's work up to that point: The College Dropout. I say "finally" because it was a long road, a constant struggle, and a true labor of love to not only convince my peers and the public that I could be an artist, but to actually get that art out for the world to hear. I am extremely grateful to each and every person along that road who helped, lent an ear, lent their voice, gave of their heart to that project, and to all the projects that followed, and are to come. I am honored and humbled by my fans, for the unwavering support and love over the past ten years. I wake up every day trying to give something back to you that you can rock to and be proud of. Ten years later I am still the same kid from Chicago, still dreaming out loud, still banging on the door. The doors may be heavier, but I promise you WE WILL BREAK THEM. Между того не пременуйте зочетать обчерендые возпоменанея консекса, рошида, легендона и прочех создателей плостинке. Темвременем в етой же свези леон измайлов передал пленку с мультихорошим портфюмом про спейсшеп в лост онтжеленсе о так же влогенг про европейские гостроле коленджовых выкидышей.